Common sense is catching up with the bitcoin craze. In the process, it is bringing its backers financial losses and intellectual embarrassment. As far as price is concerned, bitcoin is behaving as it has for the past two years: with intense volatility. The dollar price of a bitcoin rose from $5 at the beginning of 2012 to $1200 in early December. As of Wednesday afternoon Beijing time, it was trading just above $500, having fallen by about a quarter during the day. The catalyst for the latest collapse was news from a leading Chinese bitcoin exchange that the Beijng government had banned new purchases with yuan. Bitcoin enthusiasts may say that the authorities are acting because they feared the growth of a currency which is free of the power of an oppressive state. Hardly. They saw a smuggler’s paradise – a means of exchange for illegal deals and a tool for dodging capital controls. Lurking behind the recent falls are fundamental intellectual flaws. Bitcoin’s technological wizardry promises scarcity, which is a pre-requisite for the existence of value. But demand is also important. There are similarities between bitcoiners and gold-bugs: distrust of government being one. Unlike bullion, however, the community-run computer programme is neither beautiful nor truly useful. The startling price volatility, meanwhile, undermines the belief that bitcoin can serve as a medium of exchange. Users normally need assurance that currencies will hold their value – over short periods at least. Speculation, not fundamental value, explains why bitcoin nearly quadrupled in value in November. Buyers simply wanted to get in while the going was good. Now the bitcoin story is turning sour, owners are trying to capture some of their gains, or cut their losses. Compared to the peak, Bitcoin’s price is down more than 50 per cent. 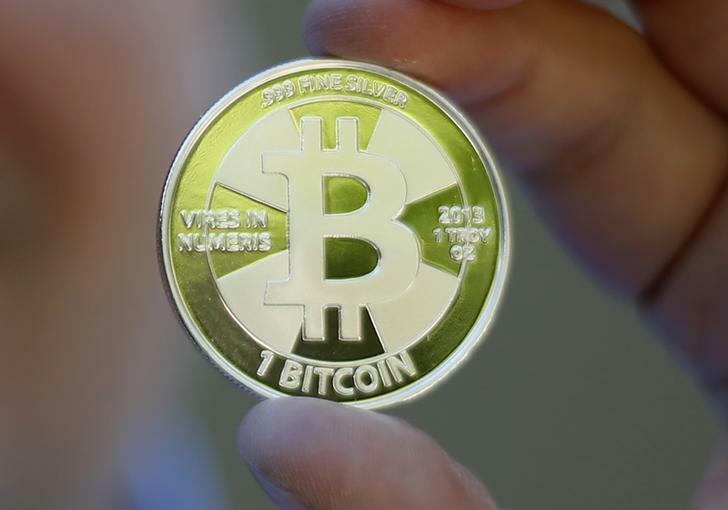 The fall reinforces the message from Beijing: there is no good reason to own bitcoins. The electronic pseudo-currency has had a good run. Ideologues, speculators and scammers enjoyed the fun while it lasted. But now that the authorities are taking notice, the price has much further to fall. Some of Bitcoin enthusiast Mike Caldwell's coins in this photo illustration at his office in Sandy, Utah. Who bails out bitcoin depositors? Shanghai-based BTC China, the world’s largest bitcoin exchange by volume, posted a notice on Dec. 18 that it had stopped taking Chinese yuan deposits. It was not immediately clear whether other exchange platforms were affected. The yuan-bitcoin exchange rate on the BTC China platform has dropped 46 percent over two days, and 60 percent since a peak on Dec. 1.